When seasonal allergies attack, it can be tough to deal with. They leave you feeling tired and unable to do your favorite things. Finding relief can be difficult, but Results RNA offers a convenient oral spay that may be just what you need. Allergy Season Care Extra Strength provides all-natural support for the immediate relief of the most common symptoms of seasonal allergies. 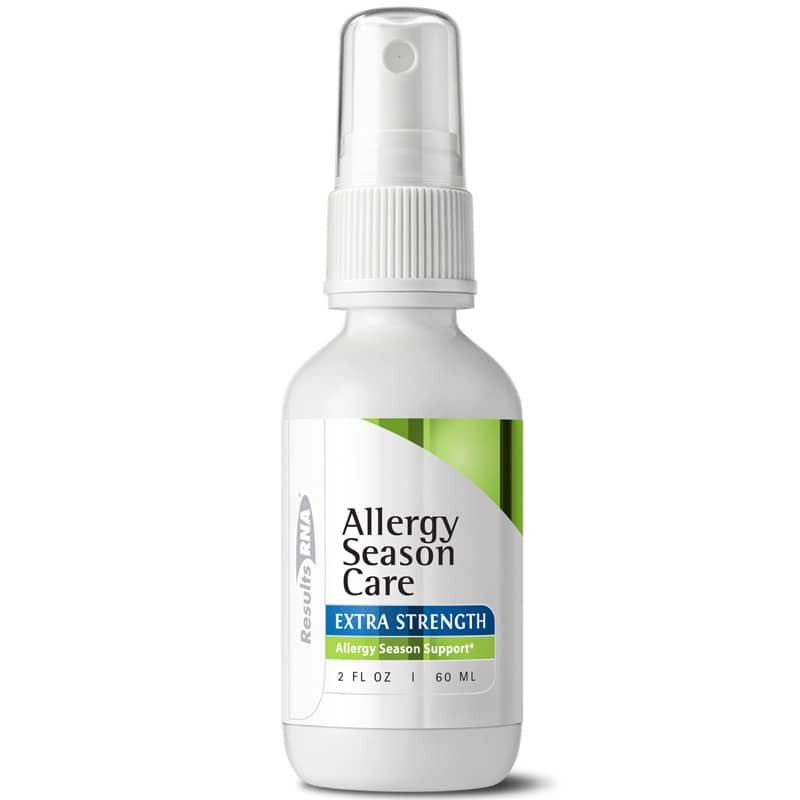 Results RNA Allergy Season Care Extra Strength offers the convenience of a spray, swish, and swallow formula. Get back to doing the things you love without having to worry about itchy, watery eyes and congestion. Pick up your bottle of Allergy Season Care Extra Strength, today! Formula derived using a proprietary selective nutrient extraction process with Peppermint Leaf (Mentha x piperita), Greater Burdock (Arctium lappa), Eyebright Herb (Euphrasia officianalis), Blessed Thistle Herb (Cnicus benedictus), Angelica Root (Angelica archangelica), Devils Claw Root (Harpagophytum procumbens) and Natural Minerals in Ultra-Pure Deionized Water. Spray, swish and swallow. You may take other Results RNA formulas immediately. Do not eat or drink for 2 minutes following. Take as recommended by your physician.